For as long as I’ve known Nate, he’s wanted a pup of his own. I, on the other hand, have never had a dog in my life, so I never really felt a desire to get one. Until I met George. When our rent was increased drastically at our old apartment in July, I knew by the end of the summer we’d be out and in a dog-friendly unit. We were lucky to find another place in our building that accepted dogs, and the search began. I let Nate take the lead, because of his knowledge and extreme interest, and I knew he would find us a great dog. 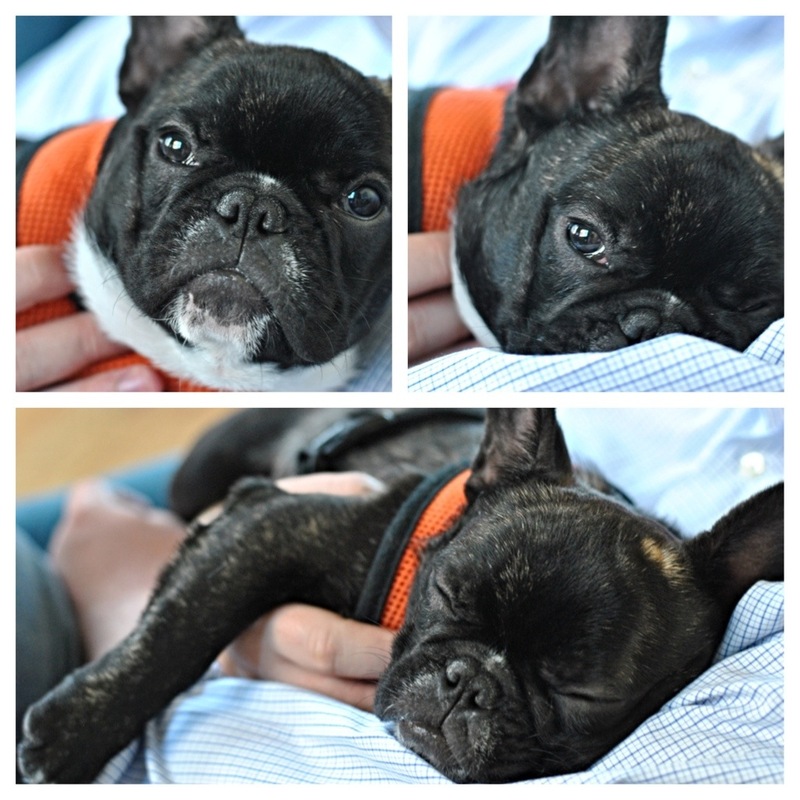 He wanted a male French Bulldog, and I wanted him to be black or brindle. 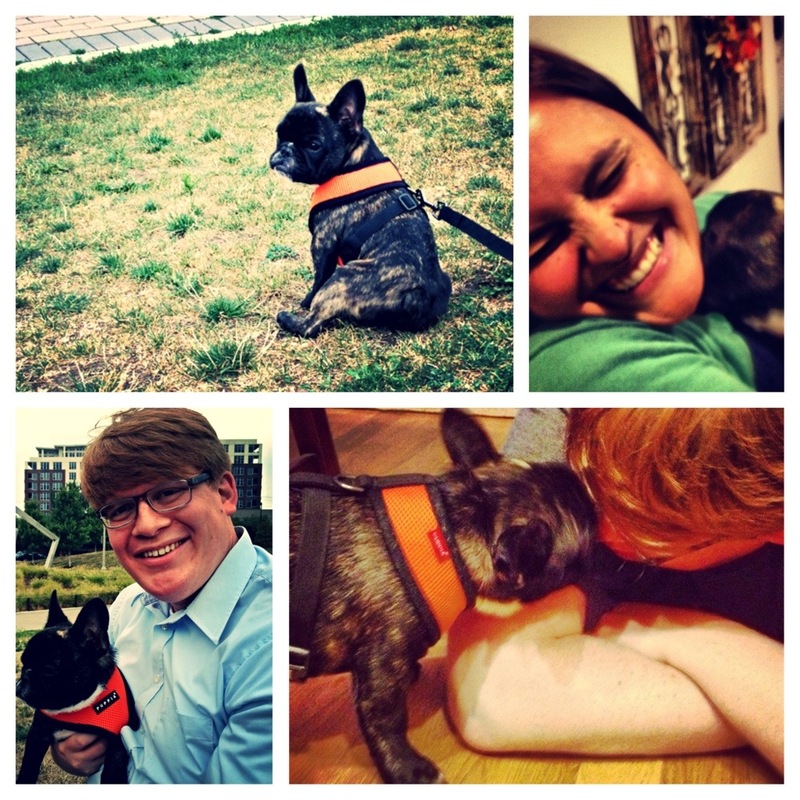 Nate would get so excited when he’d see Frenchie puppies–I was so excited for him to finally have one of his own. So the week before we went on vacation, Nate told me he found a puppy, and not too far away in Michigan. It was all happening so fast! Four days later, after our dinner at Davanti Enoteca, we headed to the home of Alison and Nick, owners of Barc’s French Bulldogs. My friend Sarah warned me that if I was going to see a pup, I wasn’t going home without him. Man, was she right. 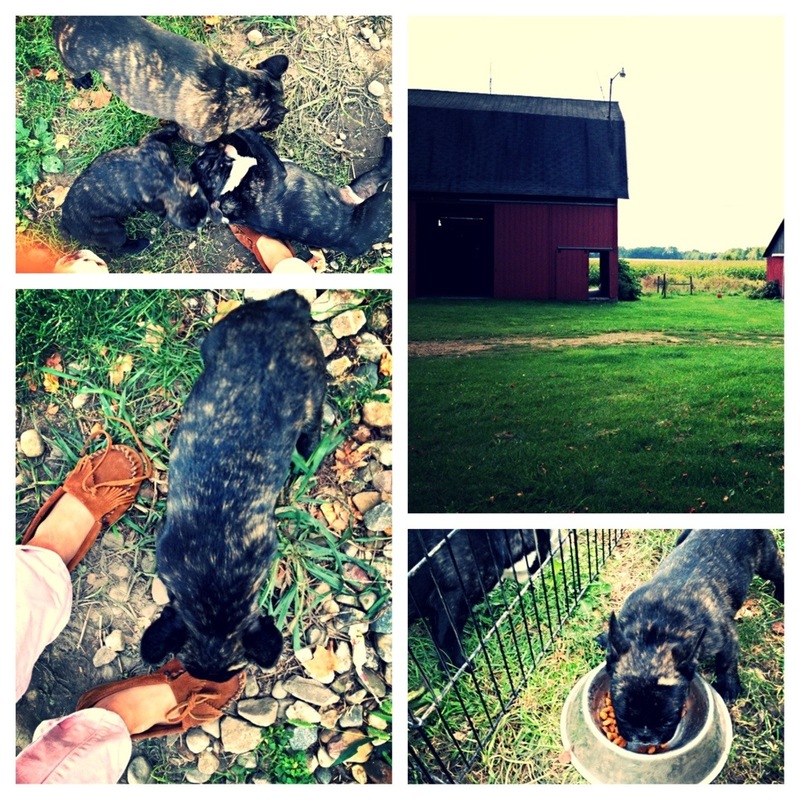 When we pulled up, a pack of Frenchies came running from the backyard. I was smitten. We were able to meet Baby, his mom Sunny, his brother Aries, and many more members of his family. Seeing the way Baby interacted with his brother melted my heart. We spoke with Alison and Nick for hours, learning about them, how they breed the dogs, why they do, and how to care for Baby. We found out we have a lot in common: Alison and I are both Polish, and she even hosts weddings at the barn on their farm–just like Nate’s mom. I asked a ton of questions, but I trusted them, and I believed this puppy was loved and well-cared for, and we would bring him into the same environment in our new apartment. Below I included some photos from our time with Georgie so far. I hope you get a chance to meet him! He’s the sweetest, most loving dog I’ve ever met, and I’m so glad that he’s our little guy. You found a great home George! Finn misses scaring you on his morning walks! Ha, we miss you guys, too, Sarah!